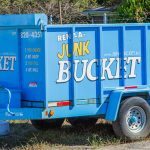 St. Petersburg, FL’s Most Beloved Dumpster Rental Service – Junk Bucket! Have you finally buckled down and decided to undertake that home improvement project you have been avoiding for years? Or perhaps it is time to put your house on the market and move? The question is, what will you do with all of the junk and trash that needs to be thrown out before, during and after your project? You could spend countless hours sorting through it to see what can go in the trash pick-up, what can be donated, and what can be recycled or reused and haul it out in a friend’s pickup truck. Or, you could call the Stand Up Guys. 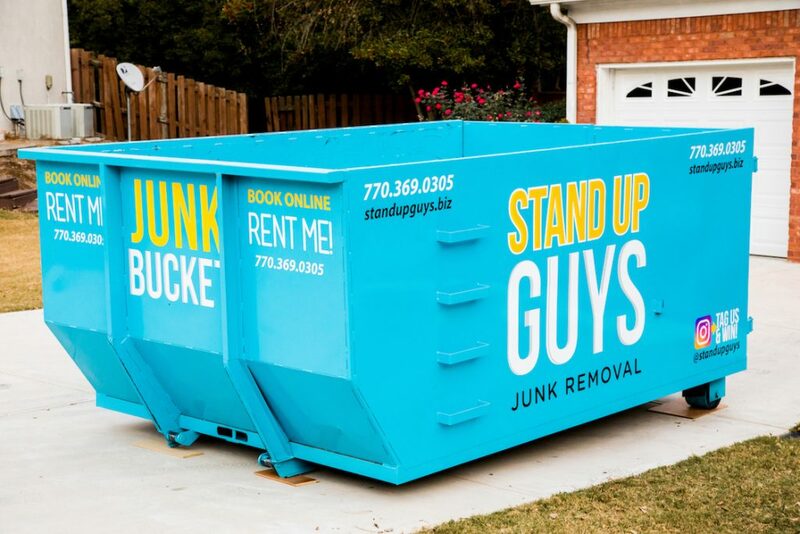 No matter your reasons for needing to get rid of junk and debris, the Stand Up Guys are standing by with their answer; The Junk Bucket. The residents and businesses of St. Petersburg are quickly discovering that renting a dumpster to remove their unwanted items has gotten 100 times easier since The Junk Bucket came around. 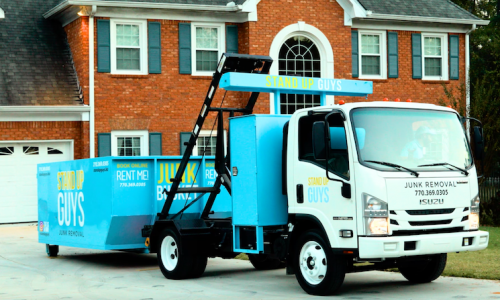 Renting a dumpster in St. Petersburg to get rid of your junk has always been such a pain, not anymore! 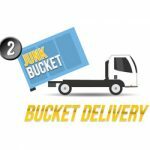 The concept and usage of The Junk Bucket is extremely simple, effective and affordable. 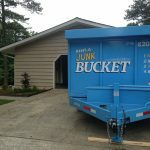 There are a lot of reasons why you could end up with unwanted junk, one big reason could be you are remodeling. Remodeling can produce a large amount of junk and debris. Often times your regular trash removal service won’t haul away these items, or will require special arrangements or additional payments in order to do so. 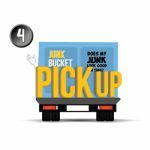 Avoid dealing with these hassles by arranging for your Junk Bucket dumpster rental. 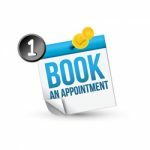 First all you have to do is give us a call at 813-512-0480 or book a dumpster online. 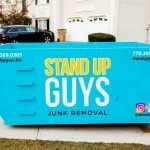 Then, at the time that you requested, The Stand Up Guys will come out to your home or business and drop a trusty, clean, empty Junk Bucket for you. The Junk Buckets are lean and agile dumpsters, so they can fit into places that 90% of other dumpsters can’t. Also, the Junk Bucket are kept in great shape, have a beautiful Stand Up Guys Baby Blue paint job and look respectable for your neighbors or clients. The last thing you want is a big ugly dumpster on your property angering everyone around you. The Junk Bucket goes all over St. Petersburg and all the surrounding cities. If you are anywhere in Pinellas County, The Junk Bucket will come to you. Also, you can throw anything you want into it. We take EVERYTHING. 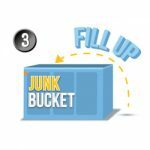 The Junk Bucket is a great solution to getting rid of your junk for the Do-It-Yourselfers of St. Petersburg. Now if you decide you want to get rid of your junk but don’t feel like doing it all yourself, we can help there too with our junk removal service in St. Petersburg. Don’t worry, we’ve got your back no matter what.